Louisville, KY Dexter The Dog and I were heading to Williamsburg Virginia for our first annual Cavalier King Charles Spaniel event, Cavapalooza! 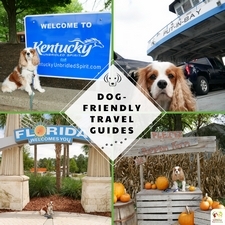 We took a day trip to Louisville, Kentucky on our way, and stayed overnight at a friend’s home instead of staying in a dog-friendly hotel in Louisville. I thought Louisville Waterfront Park would be the perfect spot to spend an afternoon before heading back on the road. I was not disappointed with that choice. The only disappointment was the chilly, wet day. 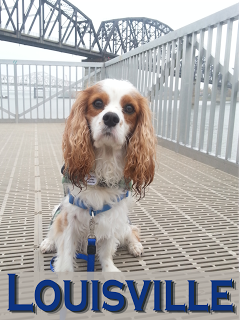 Louisville Waterfront Park was a wonderful dog-friendly getaway. Dexter and I were able to stretch our legs and walk the beautiful park. Quickly I figured out that Louisville Waterfront Park was a hotspot for local residents of all ages. We ran across workers on their lunch breaks, parents and their children enjoying the playground, and even a senior group! It truly had something for all ages. The view of the Ohio River was amazing. The walkway was very inviting and Dexter had plenty of places to smell, venture around, and of course, we found plenty of places for photo opportunities. The 85 acres of park was laid out in such a way that our dog walk was a perfect way to view all that the park had to offer. Picnic tables, walking paths, play areas, benches, sculptures, Lincoln Memorial, waterfront views, and restaurants are just a few things we encountered that afternoon. I could easily see how spending a weekend there would be a blast! 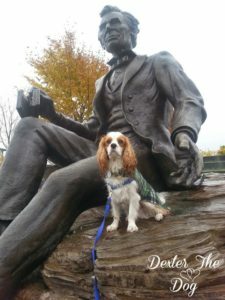 Louisville Waterfront Park was a perfect dog-friendly place for a day trip! 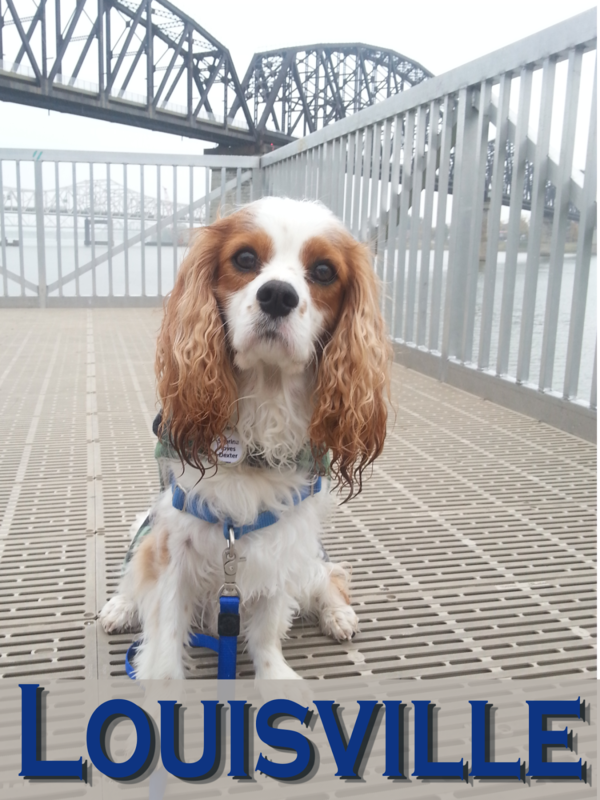 Have you visited Louisville, Kentucky with your dog? Tell me in the comments. While we are a cat family I can appreciate this share. We are in CT and they are building dog parks all around us. It’s really cool to see..maybe one day I can convince my wife to let us get a dog. We have cats too. 😉 Connecticut is on my must-see list for this year! First of all. I gotta say I fell in love with your dog. 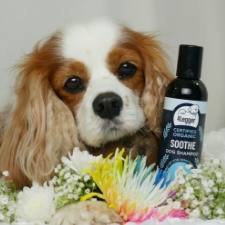 Isn’t it a King’s Spaniel? I love that breed! It is one of my favorites. Secondly. I am so glad you posted this. I am planning on adopting a dog real soon, and I just think this post will come in handy. Thank you. Yes, he’s a Cavalier King Charles Spaniel. Such a great breed. They do have a lot of health issues, but one of the best temperments around. haha so fun! 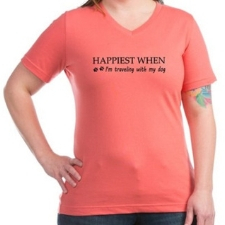 your pup looks so proud to be there! I would LOOOOVE to do this with our to but they would bark at everyone…they aren’t people friendly. Dogs are like kids and they do need breaks to get a walk in. The benefit is also great for the driver too to get some fresh air. This is so nice to know for all pet owners because it can be hard to know where pets are allowed and where they are not. So fun! I’ve never been to Kentucky before. I really need to visit one day. This sounds like a great park. The park was so nice! I really want to go back and visit more of what Kentucky has to offer. Beautiful landscape too. That sounds like a great weekend getaway! I would love to be able to find more dog-friendly places, we have two dogs that I would love to take on vacation with us. I love all the pics, you have such a cute puppy. Thank you for sharing! Thanks, Terri. It takes a little planning, but so worth it! 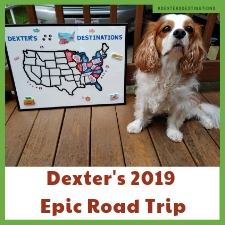 It’s so much fun to travel with Dexter. Thank you! 🙂 He is really a special boy. Now that we finally have a dog, we are trying to plan vacations around her. It’s been interesting! Thank you. 🙂 We really appreciate that. So cute! I’m sure dog mommies and papas will gain a lot from this post! I haven’t visited US but would love to one day! Thanks. Oh, you should visit the US. Kentucky is a great state to start. Aww! Poor Dexter he looks a little cold in the last photo. We can never accurately predict the weather so all we can do is be prepared for when it rains. Aw! That is so sweet! I never tried to travel with pets or dog like yours! I think it will be an amazing experience to try to travel with a dog. Love this article! Thank you. I love traveling with Dexter. It’s always a great adventure. Waling around the park with Dexter sounds so fun..and enjoying the scene by Ohio River. And the park seems to have such a lot of activities to engage in. You make me feel like I want to be your doggy! Now seriously, thank you for opening my yes to such an amazing world. Awe, thanks. We always have so much fun together. Awww your dog is SO cute! I am currently living in an apartment that doesn’t allow pets, I hope one day I can raise a dog of my own and take him/her to beautiful places as well. Plenty of dog-friendly apartments. Take a peek your next move. It’s well worth it! It’s very good to know that the park in Louisville is so great for dogs and offers so many spots where they can enjoy running around. The walk alongside the river sounds very relaxing too. We love our river side strolls. Always so relaxing watching the water. Dexter is such a handsome stud! I have never been to Kentucky, but it’s definitely on my list of places to see! hahaha Thanks. Kentucky is such a great state. We hope to go back to explore more! Looks like a fun trip! 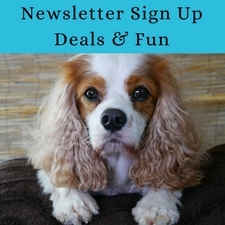 How fun to bring your dog along! What a great post. We have a dog and find it so hard to take her away with us as not many places are accommodating for her. Looks like your pup is having a blast! He really knows how to have fun. Bringing your pup on vacation with you is THE BEST! I agree! It’s so much fun and a great way to experience a destination.